PC version is uncut and uncensored. Frame rate is capped at 30 FPS. Use 60 FPS Patch. Delete or rename stinger.bik and stinger_wide.bik. Enabled by default, can be forced off. Capped at 30 FPS. Use 60 FPS Patch. Use -windowed command line argument. Open settings.dat with a hex editor such as HxD. Go to offset 0C (hex) and replace 01 with 00. Some resolutions are limited to 100 Hz, even if the screen refresh rate is set higher than that. Restores all PlayStation 2 beta executions and adds some new ones. 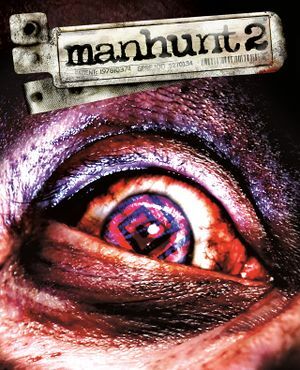 See Manhunt 2 Extended Executions. See the Project Manhunt topic. Removes the "red filter" present in executions without eliminating other effects. Removes camera "shake" from executions. Compatible with Extended Executions mod. Includes "with, and without" red filter version. 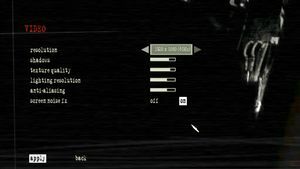 "In the Beta and PC, the executions are uncut and uncensored, with only a faint red filter that shows during an execution (although the PC version allows players to take this off on their desktop at the start menu by putting it in "Stereoscopic mode" which removes the red filter completely and also increases the visual quality)." This page was last edited on 20 April 2019, at 10:10.